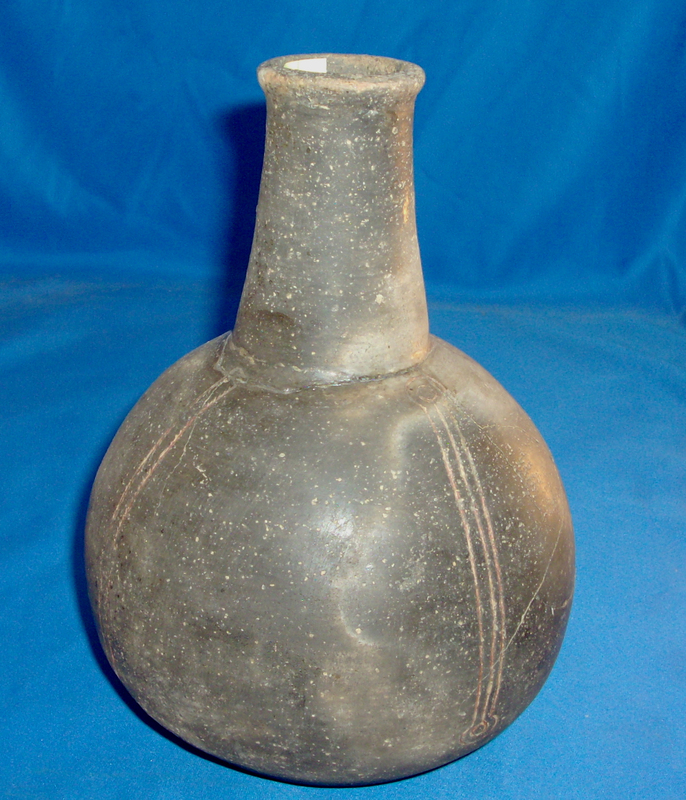 A Large Size, Very Well Made, Caddo Blakely Engraved Waterbottle That Exhibits Surface Sheen And Clay Aging Patination, Visible Neck Handle Use Wear, Aged Open Pit Firing & Firemarking, Aged Bottom Use Wear, Aging In The Engraved Lines, Correct Material And Manufacture For The Area Found. Found By Hoy And Wilton Furr April 24, 1982. Ex-Hoy And Wilton Furr, Ken Partain, Kevin Pipes, Sam Johnson, Jack Bonds Coll.'s. Pictured In "Art Of The Ancient Caddo" Page 163, Fig. #356! Includes A Ken Partain Certificate Of Authenticity!